Add your voice to local climbing and hillwalking policy discussions: come along to your next local area meeting. Sarah Stirling caught up with Rehan Siddiqui, BMC president, and four National Council representatives to find out how the system works and why they volunteer. “The views of the National Council are key to the operation of the BMC, to get a feeling of what the members want. “Each BMC area elects two people to represent their views at National Council meetings, which are held four to five times a year in mountainous areas around the UK. In this way, views and opinions from each area are fed into the system and ultimately influence the BMC’s policy on important issues of the day. Will is a climber and hillwalker who runs mountaineering training courses. “I volunteered to be on the National Council because it was an opportunity to get involved and have a say, rather than sit back and criticise. “South Wales is a long way from the BMC offices in Manchester, so I felt it was important to have a really vocal shout about what was happening locally. For example, bolting was a big issue here in Wales. There was a whole array of opinions across the country about when it was OK to drill and when it wasn’t. People had the opportunity to discuss this at local meetings, then sent their representatives to National Council, where it was ultimately thrashed out. “The high level of influence National Council has on BMC policy is why I’m interested in it. “The decision not to change the name of the BMC is another good indicator of the level of influence National Council has. If you were a canoer you’d have been told, ‘We’re doing this name change; it's a done deal.’ It’s a real strength of the BMC, that opportunity for representation by the members for the members. Roger is a retired lawyer who has been climbing for over 50 years, and now works as a climbing instructor (SPA) and walking leader (ML). “I felt a duty to be involved in BMC area meetings, to try to make a difference. “There was a time when not many members were turning up to meetings in the Midlands (and in the South East of England), despite the fact that those areas held over half of the BMC’s membership. Areas like the Lake District have more of a custodian role, looking after local crags and discussing things like access, which encourages more people to attend meetings. We don’t have many crags to worry about down here, so we represent the views of our members in a much broader way. “I was also interested to find out how it all works at the BMC. It’s complicated, a bit frustrating sometimes, and fascinating how it all meshes together! Phil is inspired by big mountains and fearsome faces (and has very nearly killed himself on several of them). “I volunteer for the BMC because I think it needs doing, and I’m better placed to do it than anyone else, and I think a lot of others feel the same way. “Do I enjoy it? No, of course not! But I feel the same about my actual work, which is going in and turning around companies: I find it challenging and satisfying. Enjoyment is going off with a special friend to do fun things together! “What happens at National Council meetings? We try not to get bogged down in area trivia! Lisa Payne helps run a climbing club in London. Her main interest is trad climbing, particularly on sea cliffs. In winter you’ll find her in the climbing walls keeping warm. “Surprisingly enough, being on the National Council has been good fun and enjoyable as well as very interesting. “I’ve been a National Council rep and Secretary for the London area for 18 months. My husband and I got involved because the London area had no representation at the time – the previous chair and secretary had stepped down a while ago and there had been no meetings. The BMC would like to say a very big thank you to all the volunteers who give so much back to the British hill walking and climbing community. 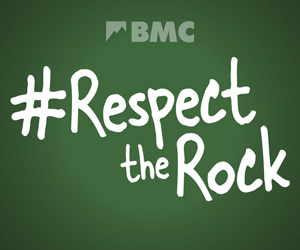 The best way to find out what happens at BMC area meetings is to go along to one. They are open to all, and you’re encouraged, and very welcome, to attend.